The best way to witness and experience the history of Ireland is by touring its countryside and the many splendid Irish castles and places of interest. Each of these places have tried to preserve a delicate piece of historical significance for the modern traveler so that he can, at least for a short while, glimpse into the grand history of this beautiful country. 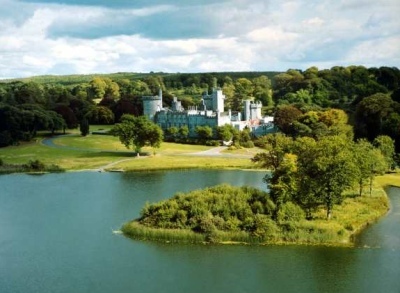 One of the first places that you must visit to experience the Irish history is the Dromoland Castle in Newmarket-on-Fergus, Clare. It was built in 1543 by O'Briens who were the descendants of the High King Brian Boru; O'Briens were the barons of Inchiquin and today, the eighteenth baron still lives on the castle grounds. The castle has been preserved like a scrapbook of Irish history with its grand elegance and theatrical settings. Local cuisine is best preserved here but served with a dash of modern sophistication; a must try is the Dromoland Estate venison with fig chutney which is nothing short of a culinary extravaganza. While you are here, make sure that you do not miss the Cliffs of Moher, a half hour drive from the Estate and one of Ireland's splendid natural attractions. This moss-covered limestone stretch for more than five miles and rise upto at 1000 feet of the Atlantic; a truly majestic and panoramic view. The next visit for a piece of Irish history has to be the Blarney Castle. Hordes of people travel from all corners of the world to climb the 127 steep steps of this 500 year old castle just to kiss a rock. According to the history of Ireland, this rock was supposed to have made its way here from Scotland in 1314 and believed to have special and fascinating powers. There are many others who claim that this oblong block of limestone dates back to the time of the Crusades. Another authentic Irish castle is the Bunratty Castle built along the O'Garney River and dates as early as 1400s. Today, the castle is surrounded by a huge theme park depicting a 19th century Irish village. Here, you can witness Ireland's most impressive medieval stronghold complete with a massive rectangular edifice and square towers. It is also the best place to take a glimpse at the art history of Ireland as the deep coffers of the castle are filled with priceless paintings, tapestries, sculptures and period furniture. This castle is also the best place to taste traditional Irish cuisine at torch lit medieval style banquets along with Irish music, flowing claret and mugs of mead. A visit to Aran Islands is another must if you want to discover the hardscrabble life of the past and experience the dwindling Gaelic culture and language. You can still find pony-drawn carts here and English is barely spoken. Described as either starkly romantic or monotonous and bleak, the Dublin-born playwright J. M. Synge described this place as Ireland's most romantic, colorful and traditional place. This place is also famous for the heavy homespun and handmade knits referred to as the Aran sweaters.